Elisco’s Creative Café is on the lookout for students or recent grads eager to earn experience at an ad agency. Applicants should be right at home multi-tasking on projects, taking-charge of tasks and paying attention to the details. Interns will be focusing on Elisco as their main client, as well as assisting on select client projects as needed. Over the years, some of the agency’s best interns have been offered full-time positions at the agency or joined our network of freelancers. The design intern must have a solid foundation in Adobe programs, layout and typography. They’ll assist the creative team, as well as work closely with the copywriting/social media intern. They’ll be designing and concepting for digital and print projects. The copywriting/social media intern should be confident in their writing abilities and familiar with social channels. They’ll work with both the creative and account teams to develop concepts and copy for a variety of projects, pitch in managing Elisco social accounts, proofread client work and write blog posts. The photo/video intern must have basic technical skills in this area. They’ll work with the creative and production teams assisting on set at client photo and video shoots, working in post and creating content for the Elisco brand. 1. Send your resume and portfolio link or relevant work samples to Laura Shirley: lshirley@elisco.com. Please note which role you are applying to and how you heard about this internship. The deadline to apply is March 1st. 2. Go the extra mile. Step 1 is the ingredients, but what’s the recipe? You’re applying to a creative café after all. Show us how much you want this, what you’re all about or impress us some other way. How you accomplish this is entirely up to you. Laura is a graduate of California University of Pennsylvania where she earned a B.S. in Graphic Design. 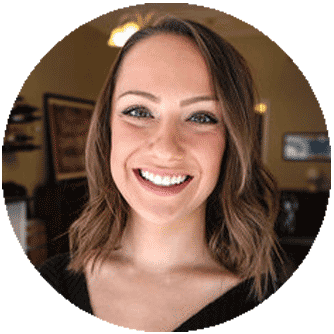 At Elisco, she creates content for clients like Pittsburgh Downtown Partnership, Clearview Federal Credit Union and Community LIFE. 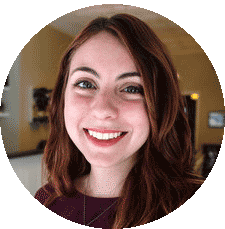 Laura is also a member and volunteer throughout the Pittsburgh design community at organizations such as CreativeMornings, AIGA and Ad2. The creative team is counting down the days till October 8th. This date marks our happy homecoming to 3707 Butler St. Unexpected repairs have kept us apart from our beloved building since mid-July and we’re eager to be reunited. Beauty Shoppe Coworking has welcomed us in the interim, but the truth is we really miss our space. Who can blame us? From the café’s tin ceilings to the second story hardwoods, it’s the little things that make us feel at home there. To commemorate our much-anticipated return, I put together a free texture pack for creatives and café lovers alike. Included are closeups of textures found in the agency from floor to ceiling that I’ve collected over the past year. Hopefully these come in handy for your own projects, or simply give you a magnified look inside Elisco’s Creative Café. Enjoy! To download the texture pack, click the button below.